Storage devices are very important, along with the need storage for our data, the system software needs to store it's necessary file and configuration even when the computer has no electricity. Optical disks are cheaper than magnetic storage devices. But data stability of these disks depends on their use and maintenance. Optical disks do not provide huge storing capacity like magnetic devices. However, now a days, Blue-ray disks are coming up with nearly 20 GB of space which is huge. Common DVDs provide nearly 4.7 GB of spaces and others provide below this. These disks require drives to operate. Such as DVD need DVD driver. Again to write on disks the driver needs to be able to write on to disks, Such as to write on writable or re-writable DVD disks will need DVD writer. Optical disks are easy to remove from the drives and can be used of data travelling. 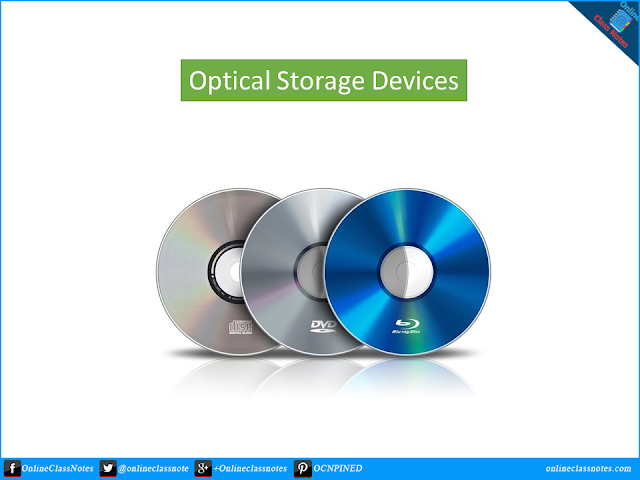 Optical disks are most commonly used for storing and sharing audio, video, games, software etc. though these disks can be used for storing any kind of data.